Christopher Winter's singular paintings remind us that, once upon a time, art and magic emerged simultaneously, indeed were one and the same. Caves in the Paleolithic era were not clean, well-lighted spaces, and cave paintings were not viewed in the detached, observer-and-observed way we now regard art. They were magic in which viewers were participants. The first paintings were likely experienced as genuinely living entities, gateways into the spirit-world, the mind's own terra incognita. 32,000 years on, give or take a decamillenium, we find ourselves in that terra incognita we know as the present, on a darkly magical mystery tour with artist-magician Christopher Winter as our guide. This time round, Winter pulls more than a few rabbits from his prestidigitator's hat, with one painting of a rabbit emerging from the magician's topper, and several paintings of domesticated fauna leaping through the skies. Aloft before demure storybook mountain valleys, these gravity-defying creatures are, well, hare-raising. Christopher Winter, an Englishman now residing in Berlin, has recreated his own displacement in his paintings. Rendered in twee, serene English tints, the undulating mountainous landscapes become a devil's playground for Teutonic Gothic menace. Winter exults in the liminal-the weightless borderline between innocence and experience, the pastoral and the eldritch, the familiar and the uncanny, the perceiver and the perceived. We're back in the cave, but the walls are now white and the lighting markedly improved. The concept of the uncanny (Ger. Das Unheimliche, "the opposite of what is familiar") was first limned by German psychiatrist Ernst Jentsch in a 1906 essay. Jentsch defines the Uncanny as a product of "intellectual uncertainty ... something one does not know one's way about in." Experiencing the uncanny, we find ourselves at once attracted and affrighted: cognitive dissonance at its finest. 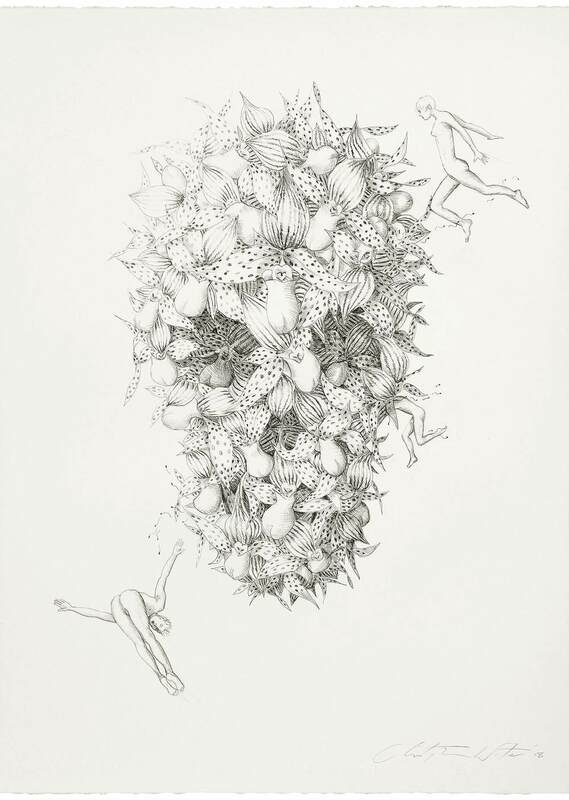 On that note, Edelman Fine Arts welcomes you to Christopher Winter's "Unnatural History." Make yourselves uncomfortable.